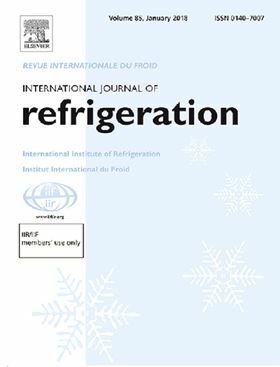 The research article 'Numerical analysis of a hermetic reciprocating compressor oil pump system' has been published in Elsevier's International Journal of Refrigeration. The aim of this work is to present a method for the analysis of an oil supply pump system of a reciprocating compressor based on a split-up approach. The entire oil pump is therefore split-up into three separate pumps: two centrifugal pumps and one helical groove pump. The split-up approach allows optimizing each single part of the pump without calculating the entire system. Different numerical models such as the Volume of Fluid (VOF) method or single phase models are used for each pump. The simulations for each pump are carried out in ANSYS Fluent 15.0. Performance curves are calculated for each pump and combined to a performance curve of the entire oil pump. The simulation results are validated with experimental data of an oil pump test rig. Finally, the presented simulation strategy is compared qualitatively with a numerical simulation of the entire oil pump concerning accuracy and computational time.